When I was in the Algarve I stayed with my boyfriends parents and consequently used all of his mum's hair products. After a week of using these products I could really see a difference in not only the health of my hair but the definition of my curls! For beach protection I used my own Label. M. Protein Spray which I will tell you now is BOMB! I probably won't purchase the oil as it is extremely expensive but it made me think about looking into other hair oils like perhaps the L'Oreal Mythic Oil? Beauty products are very expensive to buy over here so I am going to have to find a website that delivers to Portugal! 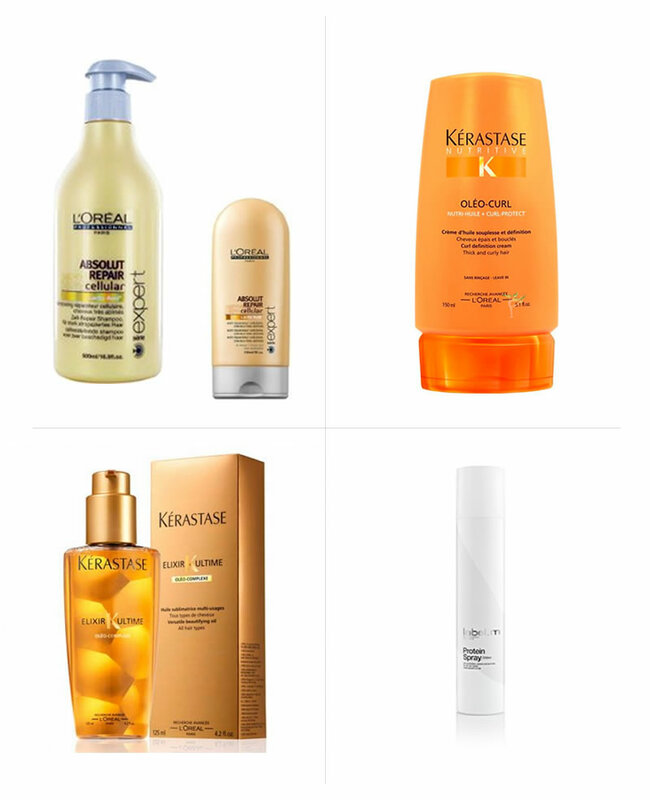 Have you girlies tried any of these products? What did you think? Hi! Just a tip, You can use almond oil, jojoba oil, coconut oil or even extra virgin olive oil for your hair. They are really good and not so expensive.